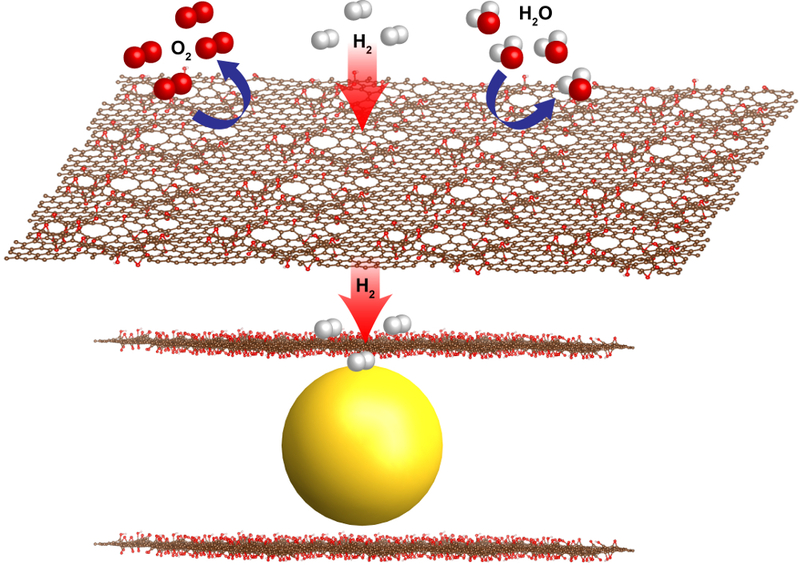 The tiny size of the graphene-encapsulated nanocrystals created at Berkeley Lab, which measure only about 3-4 nanometers, or billionths of a meter across, is a key in the new fuel cell materials’ fast capture and release of hydrogen, Cho said, as they have more surface area available for reactions than the same material would at larger sizes. Another key is protecting the magnesium from exposure to air, which would render it unusable for the fuel cell, she added. The Molecular Foundry and Advanced Light Source are both DOE Office of Science User Facilities. The work was supported by the Department of Energy Office of Basic Energy Sciences and Office of Energy Efficiency and Renewable Energy, the Bay Area Photovoltaic Consortium (BAPVC), and the US-India Partnership to Advance Clean Energy-Research (PACE-R) for the Solar Energy Research Institute for India and the U.S. (SERIIUS). View more about the work of Jeffrey Urban’s research group here.